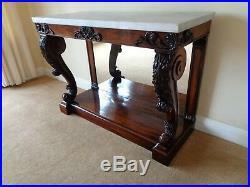 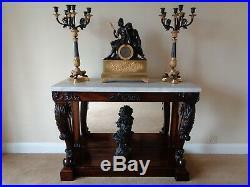 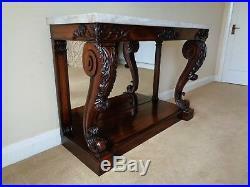 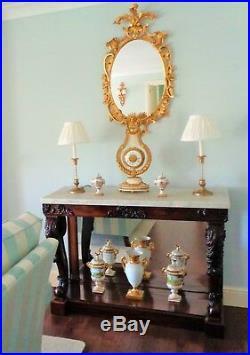 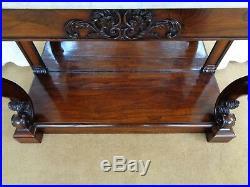 A VERY FINE REGENCY ROSEWOOD CONSOLE TABLE. 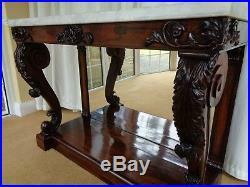 THE TABLE DATES FROM AROUND 1820 TO 1830. 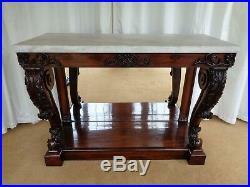 THE MARBLE TOP IS 124cm WIDE , 52cm DEEP AND 91cm HIGH. 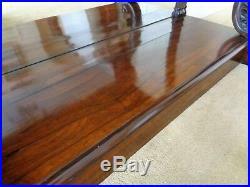 THE FRONT SUPPORTS ARE MADE OF SOLID ROSEWOOD. 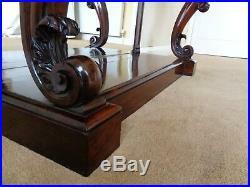 THERE`S AN AGE RELATED SHRINKAGE LINE ON THE TOP SURFACE OF THE PLINTH. 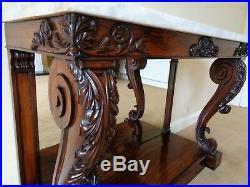 The item "A FINE REGENCY ROSEWOOD CONSOLE TABLE / ANTIQUE CARVED SIDE TABLE MARBLE TOP" is in sale since Monday, December 31, 2018. 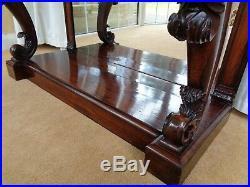 This item is in the category "Antiques\Antique Furniture\Tables\Pre-Victorian (Pre-1837)". 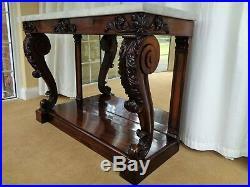 The seller is "artemis111" and is located in Northampton.